The best Batman movie ever made Batman: Mask Of The Phantasm hit Blu-Ray this week but this direct to DVD movie isn't to far beyond in it's greatness. 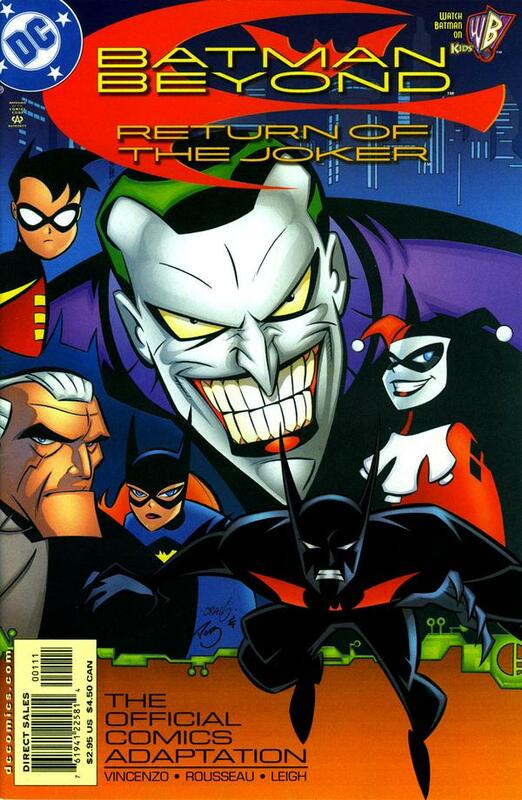 Batman Beyond: Return Of The Joker is a fantastic story set in the world of the future Batman and this comic adapts the story from beginning to end. If you weren't a fan of Batman Beyond and have never seen this movie then you need to do so or find this comic and at least read it!